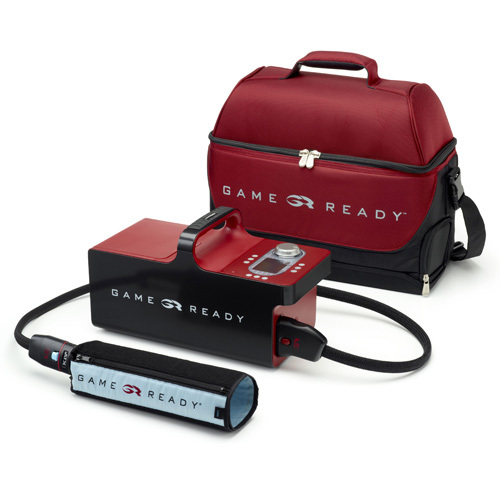 The Game Ready® GRPro® 2.1 system features innovative, patented ACCEL® Technology (Active Compression and Cold Exchange Loop), enabling the integrated delivery of continuous cold and intermittent pneumatic compression therapies like never before. 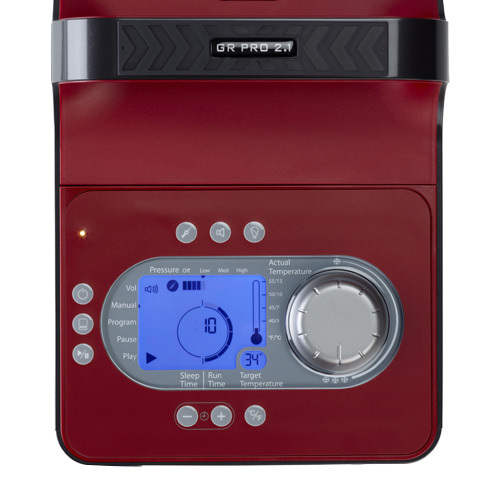 The first-ever sports injury and post-op recovery device of its kind, the portable GRPro 2.1 has set a new standard in non-narcotic musculoskeletal injury pain relief and accelerated healing. In fact, the GRPro 2.1 cold and compression therapy system is so effective, it’s used by thousands of leading orthopedic surgeons, physical therapists, and athletic trainers, as well as countless patients, elite athletes, professional sports teams, and special military forces around the world. The game-changing GRPro 2.1 integrates intermittent pneumatic compression and cryotherapy to reduce pain and swelling, reduce muscle spasms, enhance lymphatic function, encourage cellular oxygen supply, and stimulate tissue repair – naturally and without narcotics. Compared to traditional RICE applications, the Game Ready System offers more therapeutic benefits. And that means improved outcomes for patients and greater care satisfaction for providers. *Based on physician’s experience. Results may vary. HOW DOES THE GRPRO 2.1 SYSTEM WORK? The GRPro 2.1 cold and compression control unit seamlessly integrates two proven therapies, taking traditional RICE principles to an all-new level, enabling you to heal faster and recover better. Easy portability and an available battery pack enable convenient therapeutic treatment on the go, on the sidelines, or wherever required. Game Ready technology is both more powerful and smarter. 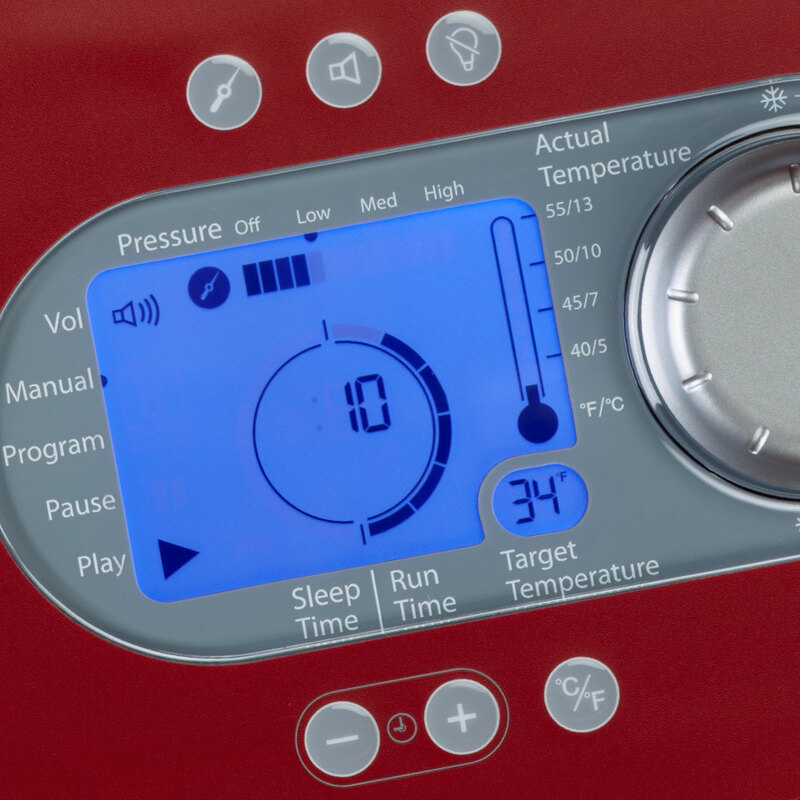 The GRPro 2.1 features an intuitive, simple interface so patients and athletes can work with their physicians and trainers to use pre-set programs and easily customize compression levels, temperature, and time settings with the touch of a button or the turn of a dial. 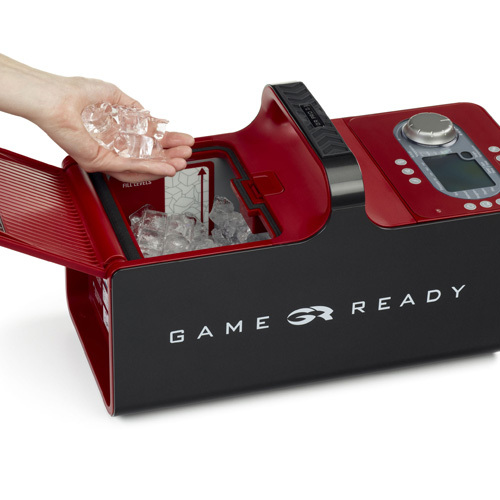 Game Ready’s comprehensive line of dual-action, no-mess ATX® Wraps (Active Temperature Exchange) is fully compatible with the GRPro 2.1 System for head-to-toe, integrated cold and compression therapy. Featuring patented NASA technology, Game Ready’s low-profile wraps deliver circumferential coverage and greater surface contact for more effective treatments. And they’re anatomically engineered for all major body parts, ensuring better fit and comfort. All of which improves outcomes and increases satisfaction with the recovery process. Approximately 2 to 3 minutes of inflation and 1 minute of deflation. Approximately 4 to 5 minutes of inflation and 1 minute of deflation. Provides consistent temperature across the wrap, improving patient comfort and safety. Cold therapy between 35°F to 50°F (when control unit reservoir full of ice). Program 1 30 minutes on, 30 minutes sleep. No pressure. Program 2 30 minutes on, 30 minutes sleep. Low pressure. Program 3 30 minutes on, 30 minutes sleep. Medium pressure. Program 4 30 minutes on, 60 minutes sleep. No pressure. Program 5 30 minutes on, 60 minutes sleep. Low pressure. Program 6 30 minutes on, 60 minutes sleep. Medium pressure. The GRPro 2.1 control unit is an FDA-regulated prescription medical device and should only be obtained from authorized sellers. Learn how you can rent the Game Ready System that will help you be your best self again. 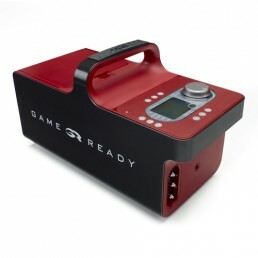 Find out how special financing can help you purchase Game Ready for your practice, facility, or team. Learn how to prescribe Game Ready to your injury and surgery patients to improve outcomes. What is the Treatment for a Fractured Spine? © 2019 COOLSYSTEMS, INC. ALL RIGHTS RESERVED.